Campingplass La Route Verte er en campingplass i Wihr-au-Val, Haut-Rhin. Denne campingplassen med skrånende terreng har steder med avgrensning, med skygge, uten skygge og plasser med noe skygge. For sportslige feriegjester arrangerer campingplassen fotturer med guide og ulike sykkelturer. Det er ikke alltid nødvendig å lage mat selv, for på campingplassen er det pizzeria. Det er mulig å bruke internett, for på 80% av campingplassen kan man få tilgang til internett med egen laptop. Denne inspektøren besøker hvert år Campingplass La Route Verte og inspiserer campingplassen for ca. 200 fasiliteter og for andre punkt som forekommer. Inspektøren er en medarbeider fra ACSI og arbeider ikke for campingplassen. This is a small but dry quiet site with compact pitches. It is set in a local village with excellent patisserie close by making it an early morning pleasure to collect the bread/croissants etc. the facilities are clean and very adequate. WiFi was limited to local area around facilities but reliable. Value for money, this was one of the best sites we visited. Lovely site with reasonable sized pitches. One shower and toilet block with washing and recycling facilities serves the whole site, also the cassette emptying point. There is a motorhome service point opposite the reception. There is no view to speak of but this should not detract from an otherwise well run and clean campsite. If you fancy some wine tasting a two minute walk will get you to Vins Schoenheitz where they were very welcoming on our visit. On Thursdays at 10:30 they include a trip to the cellars an excellent and informative morning. Opposite there is a Pizzeria that served large well made thin crust pizzas and Tart Flambée which I urge you to try as well as pasta dishes. Lovely site with reasonable sized pitches. Shower and toilet block with washing cassette emptying and recycling facilities were all kept very clean . There is a motorhome service point opposite the reception. A well run and clean campsite with only a 15min drive from Colmar. The local wine tasting a Pizzeria were excellent. Lovely little site. Quiet and peaceful when we visited. Within reach of all the best places to visit in region. Toilet facilities basic but perfectly adequate. Great value off season. Lovely surroundings, peaceful, immaculately clean. All those camping seemed very relaxed, young families too. Site impressively well tended and owners so friendly and helpful. Good restaurant very close & fab boulangerie! English spoken. Vil du booke Campingplass La Route Verte eller få mer informasjon? Det går bra med opplysningene nedenfor. 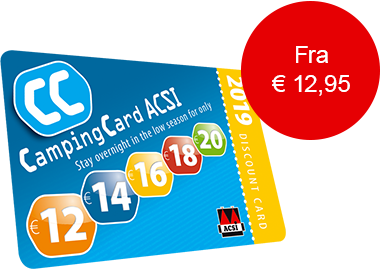 ACSI Eurocampings sender din forespørsel til "Campingplass La Route Verte".